Silver Grey Slate Stone Available in different sizes & finish as per customer's demand. Used for flooring, highly attractive and durbale. In order to meet the various requirements of the customers, we are engaged in offering a wide assortment of Bazad Multi Color Slate. Used for both commercial and residential purposes, our gamut of raja red slate stones is highly durable and resistant to weather, stain and erosion. The rich red color adds to the décor of the interiors as well as exteriors and is offered in varied specifications. Available in form of slabs, blocks, pavements etc, our range of M-green slates are widely used for interior and exterior constructions like for walling, flooring etc. The high quality range is available at most economical rate. 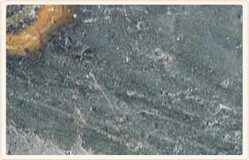 Having vast industrial experience, we are presenting an extensive assortment of Indian Autumn Slate Stones. 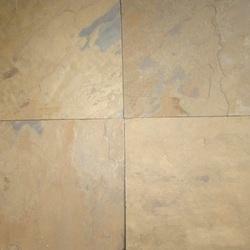 The Indian Autumn Slate Stones we offer are made as per the requirements of the clients. Moreover, these products are suitable for various applications. This Slate stone takes good polishing and is extensively used for both the interior and exterior construction & decoration. Riding on unfathomable volumes of industrial expertise, we are providing a broad array of Golden Slate Stone.